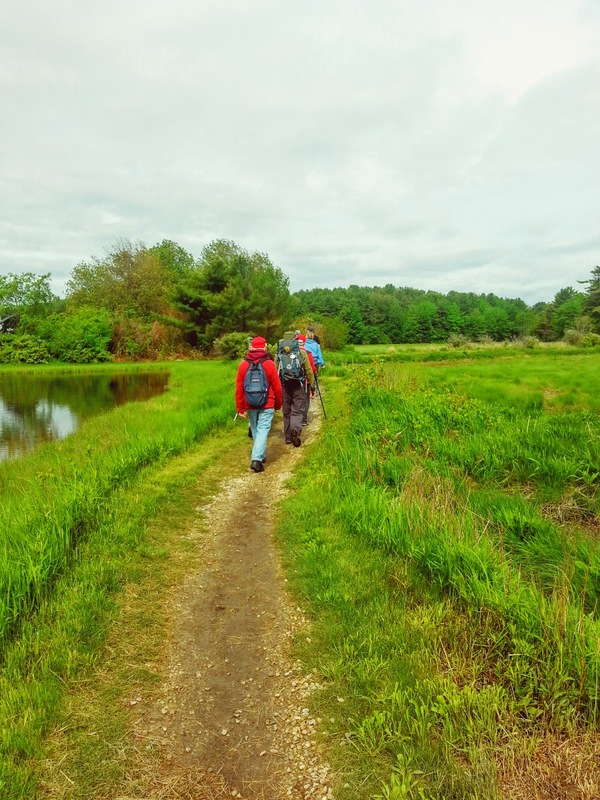 This trail combines existing trails, sidewalks and routes to make an end to end 10 mile hike. Accessible by: Start accessible by Bus 5, Finish point accessible by Bus 9A/B. 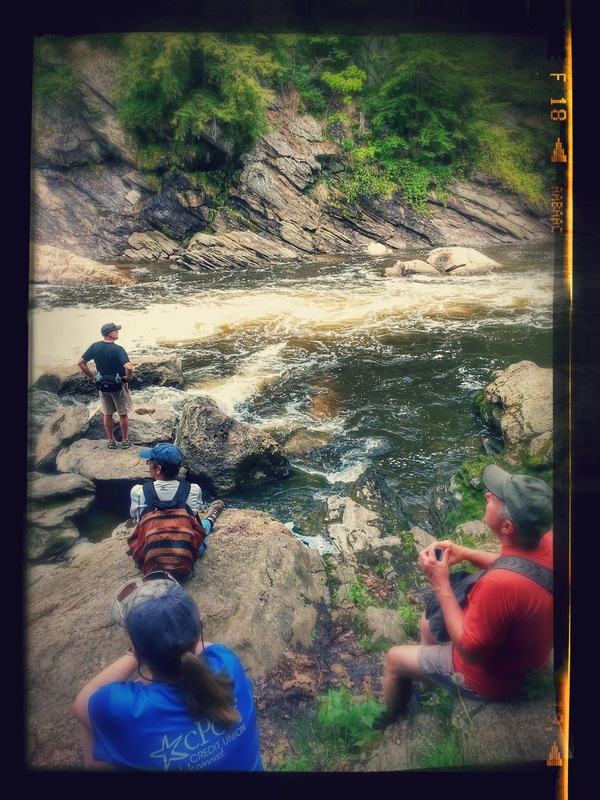 Activities: Activities will vary depending on trail section. Please note: During Hall School construction, the Hall School Trail section of the Forest City Trail is rerouted away from campus. Please take Warwick St to Woodvale to connect to Evergreen Cemetery instead of crossing through the Hall School construction zone. Map of rerouted area here. 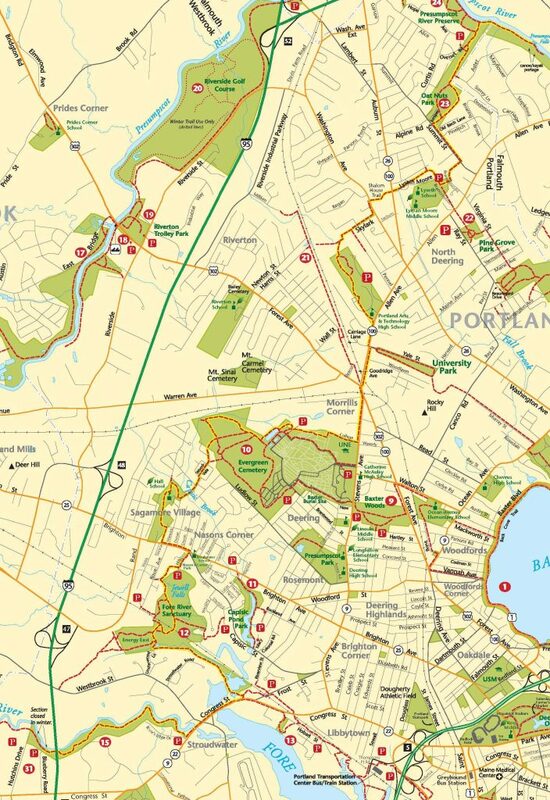 Created to celebrate our 20th anniversary, this 10-mile route across the best of Portland comprises 9 trails, school campuses, several parks, an historic cemetery, two waterfalls(! ), and connecting sidewalks. 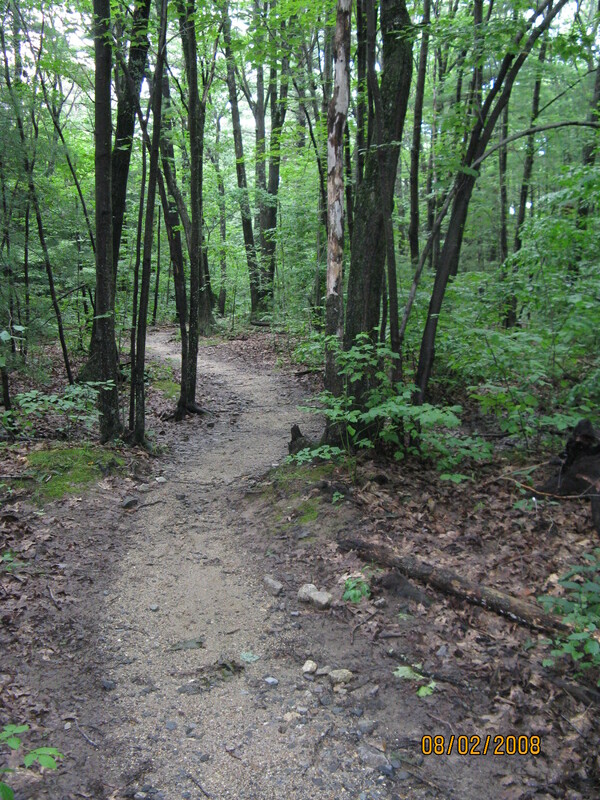 On the Portland Trails V4 map the Forest City Trail is indicated in yellow. This is reflected on our digital map. 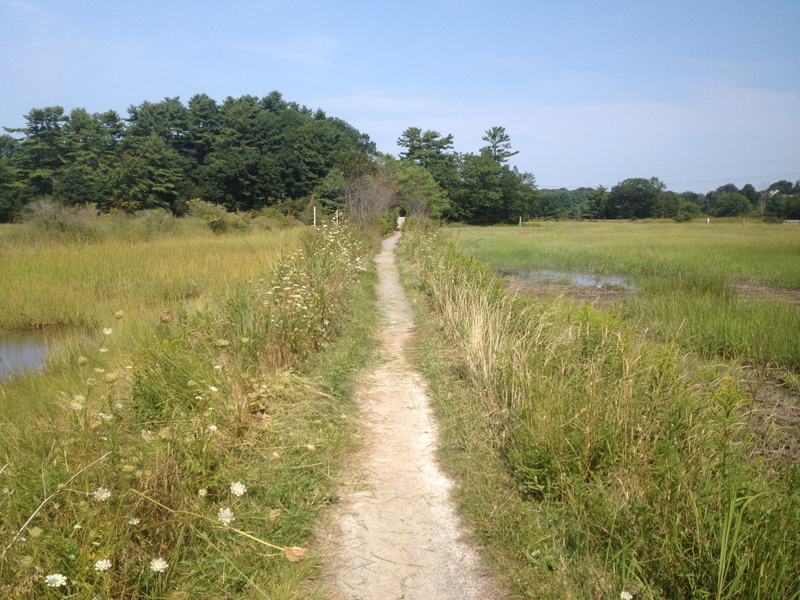 On the ground, the trail is blazed with white blazes. Begin with any of the trails, and do all or part of the series. 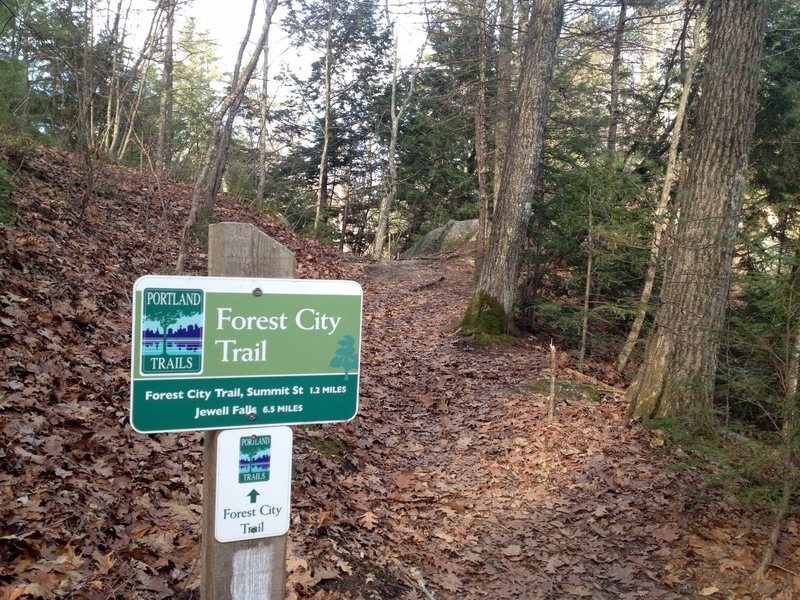 Tom Jewell, Portland Trails co-founder and designer of the Forest City Walk, generally takes it from southeast to northwest, using the following routes/stops. -Hall School Trail, begin on Lomond Street, end at Warwick Street, temporarily re-routed during Hall School Construction. 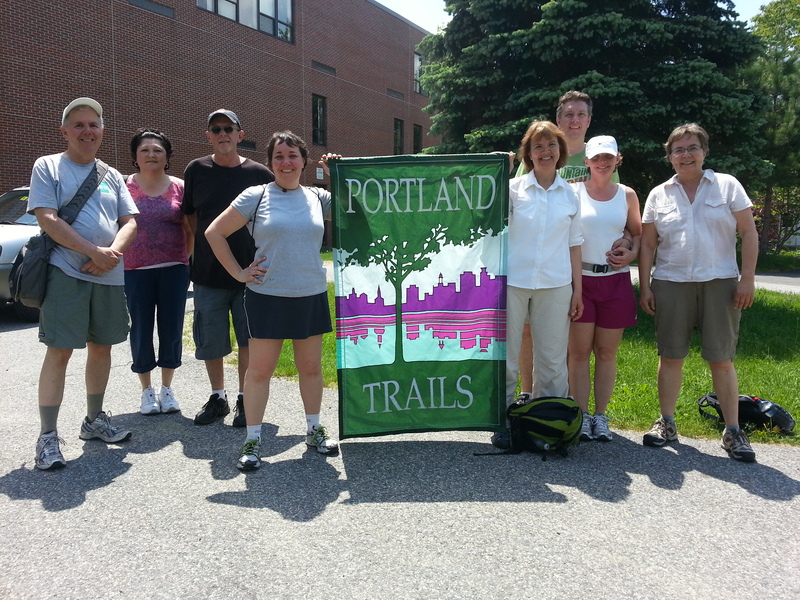 Portland Trails leads an annual hike on National Trails Day of the entire Forest City Trail, end to end.